often given the epithet of the King, also known as Bilgames in the earliest Sumerian texts, was the fifth king of Uruk, modern day Iraq (Early Dynastic II, first dynasty of Uruk), placing his reign ca. 2500 BC. According to the Sumerian king list he reigned for 126 years. In the Tummal Inscription, Gilgamesh, and his son Urlugal, rebuilt the sanctuary of the goddess Ninlil, in Tummal, a sacred quarter in her city of Nippur. 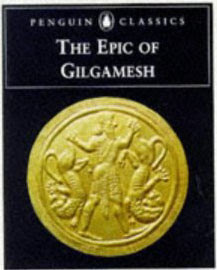 Gilgamesh is the central character in the Epic of Gilgamesh, the greatest surviving work of early Mesopotamian literature. In the epic his father was Lugalbanda and his mother was Ninsun (whom some call Rimat Ninsun), a goddess. In Mesopotamian mythology, Gilgamesh is a demigod of superhuman strength who built the city walls of Uruk to defend his people from external threats, and travelled to meet the sage Utnapishtim, who had survived the Great Deluge. He is usually described as two-thirds god and one third man. In the Epic of Gilgamesh, Gilgamesh is credited with the building of the legendary walls of Uruk. An alternative version has Gilgamesh telling Urshanabi, the ferryman, that the city's walls were built by the Seven Sages. In historical times, Sargon of Akkad claimed to have destroyed these walls to prove his military power. 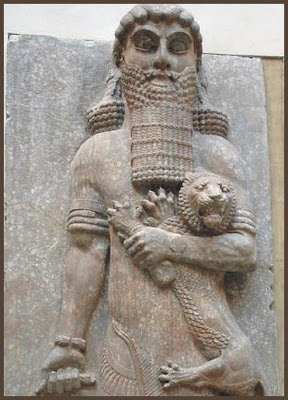 It is generally accepted that Gilgamesh was a historical figure, since inscriptions have been found which confirm the historical existence of other figures associated with him: such as the kings Enmebaragesi and Aga of Kish. 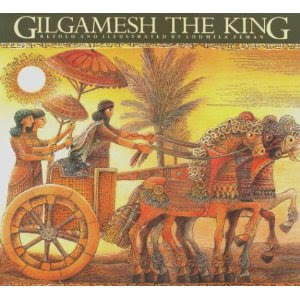 If Gilgamesh was a historical king, he probably reigned in about the 26th century BC. Some of the earliest Sumerian texts spell his name as Bilgames. Initial difficulties in reading cuneiform resulted in Gilgamesh's making his re-entrance into world culture in 1872 as "Izdubar".